Water softener usage in Los Angeles, California, is increasingly being looked on with disapproval as the state continues to grapple with one of the severest droughts in years. Water softeners, some argue, unnecessarily discharge waste water into the environment – water that should be conserved and used for other, allegedly more important, purposes. In 2009, the California legislature gave local water districts within the state the authority to restrict water softener usage and even ban them altogether. Several communities have indeed done so as of late 2014, apparently in the belief that water softening restrictions would have a discernible impact on California’s drought conditions. The truth is that the amount of water that a water softening system “wastes” is negligible when compared to other forms of water usage in Los Angeles and the rest of California, particularly agricultural irrigation. 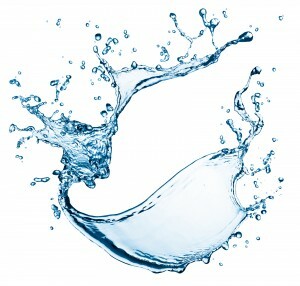 Regeneration waste water has actually never been proven to be problematic, and in fact, many of today’s leading water softener manufacturers design their systems to limit waste water discharge through shorter regeneration cycles and other eco-friendly features. Some even manufacture water softeners that require no salt and produce no waste water whatsoever, allowing them to fall outside the purview of any California water softening restrictions or bans. Actually, a strong argument can be made that installing a water softener in your home is an environmentally responsible thing to do. Studies have shown that soft water can improve the energy efficiency of water heaters by as much as 25 percent. Also, it’s no secret that soft water leaves less residue behind, reducing the amount of harsh chemicals and water required for cleaning. For more information, contact your local authorized RainSoft water softener dealer in Los Angeles, CA. RainSoft water softeners are technologically advanced products designed to minimize waste water discharge and produce an abundant supply of soft water for use throughout the whole house.